Three Dimond High School football coaches, including the head coach, have been fired and students have been disciplined in the wake of allegations of "serious inappropriate behavior" during a team trip to Fairbanks this month, the Anchorage School District superintendent announced Friday. Superintendent Deena Bishop also lifted the team's suspension that started Aug. 22, allowing the football players to resume practice as a police investigation into the reported misconduct continues. Bishop said in an interview Friday that she had reviewed the information the district had about what happened in Fairbanks and had taken "the disciplinary action needed." She said students who had nothing to do with the reported incident should be allowed to resume their football season. "I'm confident that they're safe," she said. Much remains unknown about what happened during the football team's trip to Fairbanks for its Aug. 18 game against Lathrop High. 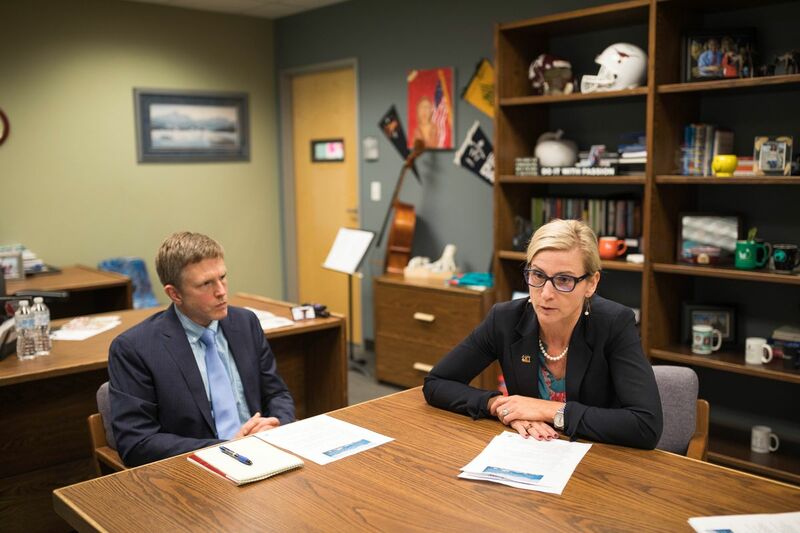 Bishop said in Friday's interview that she couldn't discuss those details, among them how many nights the team spent in Fairbanks, where they slept and how many students were involved in the reported misconduct. She said she couldn't talk about what the district learned during its investigation because of the ongoing police investigation and the Family Educational Rights and Privacy Act, a federal law that requires schools protect the privacy of student records. Bishop characterized the reported misconduct as "serious inappropriate behavior," and said she wouldn't call it hazing. A woman, who said she was the mother of one of the victims, told KTUU that the abuse was "sexual in nature," according to a report on Aug. 20. Asked about that report, Bishop said: "I'll just say student safety is our No. 1 priority. I'm not going to comment on the allegations." Citing the privacy law, Bishop said she couldn't say how many students had been disciplined or how they had been disciplined, including whether they were expelled. She said the students were no longer on the football team. Bishop said Dimond's head football coach, Bernardo Otero, and two assistant coaches had been "released from their duties." Catherine Esary, a district spokeswoman, said the district would not be naming the two assistant coaches. Otero did not return messages Friday seeking comment. A post on his Twitter account said, "News says I'm out, what they dont say is why… dont worry I will clear my name and my coaches. Dont you worry.."
Otero started as the team's head coach in 2018, Esary said. He had previously been an assistant coach in the district. Otero and the two assistant coaches fired were on the Fairbanks trip with the team, along with nine other coaches, according to the district. Bishop said she couldn't say why specifically the three coaches were let go. Matt Teaford, senior director at the district's Compliance/Equal Employment Opportunity Office, said the district couldn't release those details because it was a personnel matter. "It was consistent with the disciplinary investigation involving the entire matter and as the superintendent indicated, the determination was made that it was in the best interest of the district and the program that these coaches be relieved of their duties," he said during Friday's interview. The three coaches were not employed otherwise with the district, Bishop said. 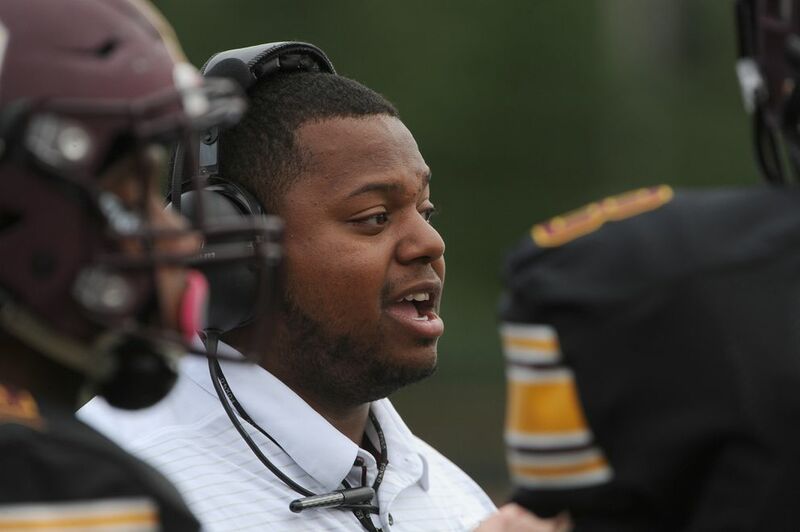 Dimond High teacher Derek Brewer will be the school's new interim head football coach, she said. Brewer was the team's head coach years ago. The district held a meeting Friday for Dimond High football parents and players to inform them about the removal of the coaches, the discipline of the students and the resuming of the football program, Bishop said. The district also posted the update on a website it had set up to share information about its investigation — dimondinfo.org. The football players had an hour-long conditioning workout Friday evening, a move that will satisfy eligibility requirements in time for the team to play a game on Saturday, Sept. 8. Brad Lauwers, Dimond High's boys basketball coach, was leading the workout. He told the team it needed to have "perfect stinking behavior." "A lot of people are wondering about you getting this opportunity, so you have to behave perfect," he said. 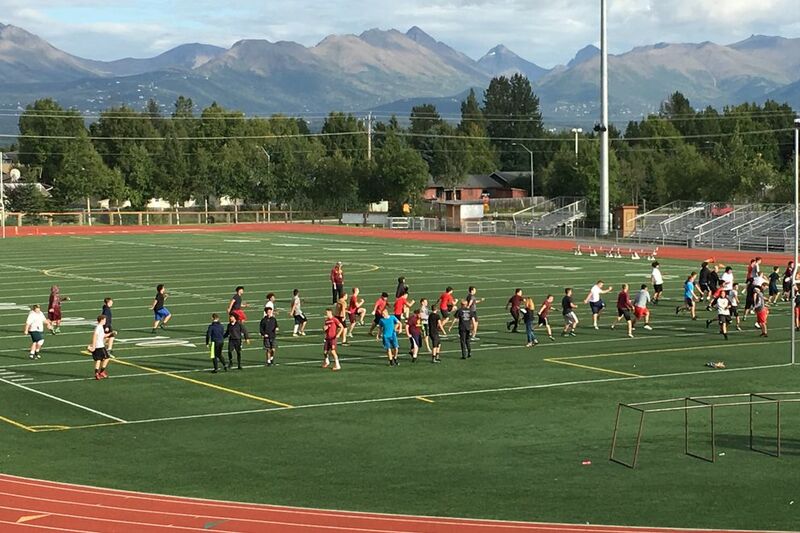 According to a news release Friday, the district has scheduled mandatory training on the federal Title IX law, sexual harassment and hazing for Dimond High coaches, the school's principal and the school's activities assistant principal. The high school's coaching staff will also participate in a two-day training program called "Coaching Greatness" in September. Students will be included in a portion of the training. Esary said the training will likely start at Dimond and then at other schools. The district will also ensure it has a consistent code of conduct for students participating in activities, the news release said. MJ Thim, police spokesman, said the police investigation continued and he had no new updates Friday. Police have not provided details about what they're investigating, aside from "an incident involving the Dimond High School football team."